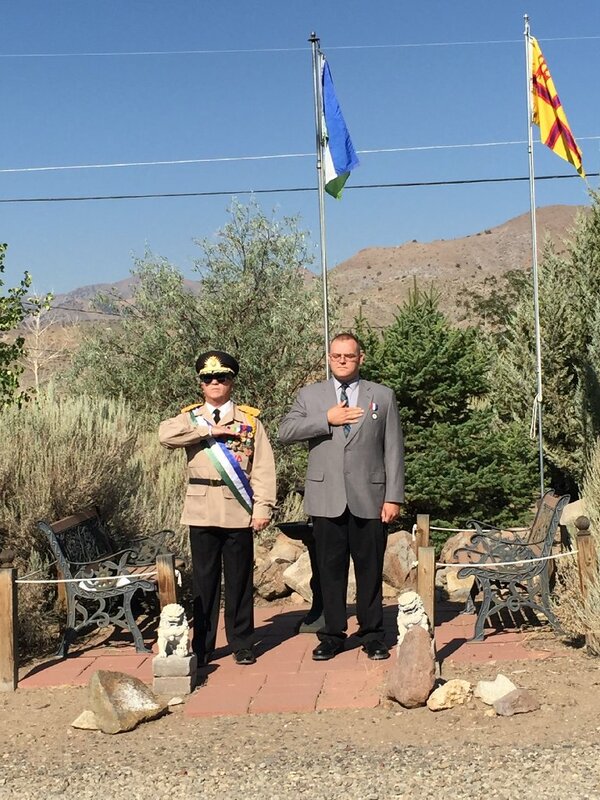 On 20 August 2016 XXXIX, Imperial Prince Brandon I of New Nicea visited Molossia for the first State Visit between our two nations. New Nicea's home territory is located just outside Elko, Nevada, while the government temporarily resides in Medford, Oregon. The Imperial Prince arrived at 10:09 AM MST. His Excellency and His Highness made the State Visit official by exchanging medals in Republic Square, the Imperial Prince granting The President a knighthood in the Chivalric Order of James I. Following the ceremony, discussions were held in the Office of the President pertaining to micronational matters and especially to the development of New Nicea. 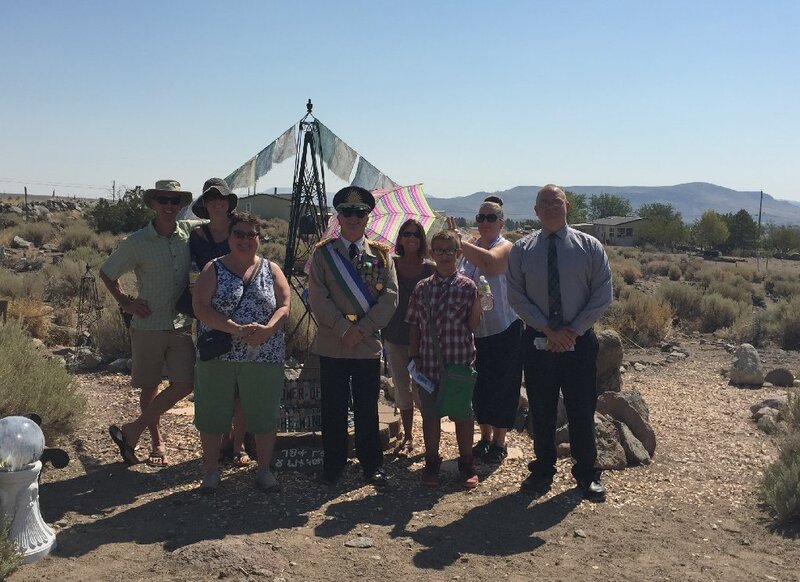 After discussions The President, First Lady and Chief Constable took His Highness on a tour of Molossia, accompanied by a large group of tourists, visiting variously from nearby Reno, Carson City and distant Tuolumne, California. During the tour the group saw all the sights of our nation. 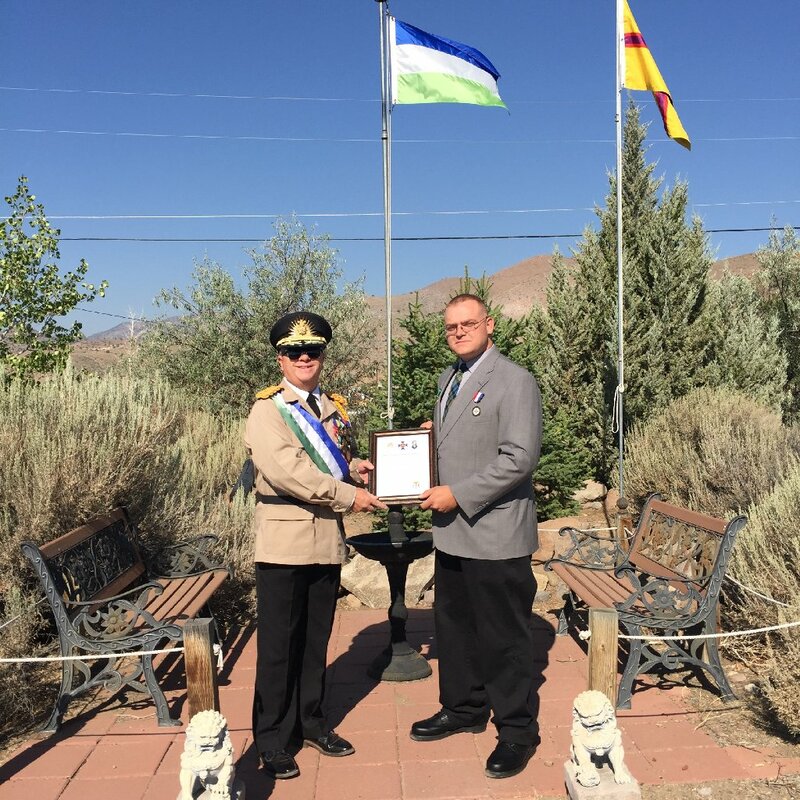 In the midst of the tour, His Excellency, The President held a ceremony recognizing Molossia's Chief Constable Alexis Baugh as a Hero of Molossia, an honor well overdue. 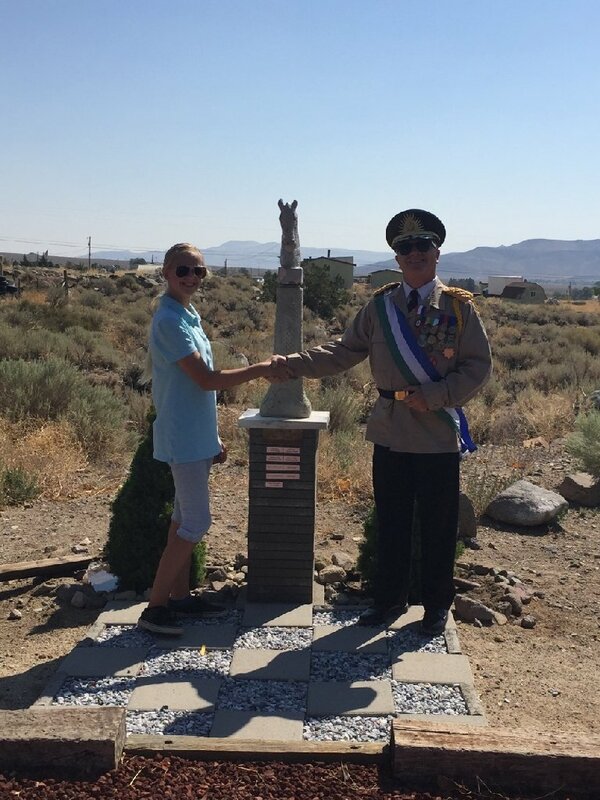 Following the tour the Imperial Prince and our other guests bid farewell to Molossia as they returned to their homes. Thus ended a successful diplomatic meeting, a milestone for both of our great nations.